Klassik Heute 10/10/10 February 2013. 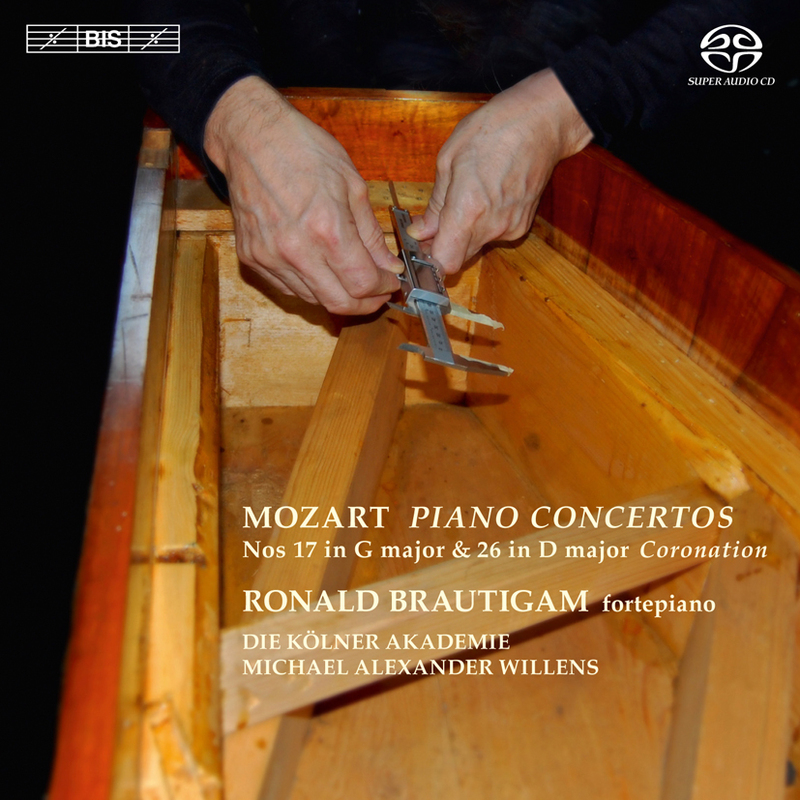 Described in International Record Review as 'an absolutely instinctive Mozartian, with fleet fingerwork to match any, and with melodic playing of consummate beauty', Ronald Brautigam returns with the third instalment in his series of Mozart’s piano concertos. As on the two previous discs, he is joined by the period band Die Kölner Akademie conducted by Michael Alexander Willens, forming a partnership described on website klassik-heute.de as ‘Mozart interpreters of the first order’. The present disc includes Piano Concerto No.26 in D major, K 537, nicknamed the ‘Coronation Concerto’ on the basis of the slightly misleading information given on the title page of the first edition of the work, stating that the work was ‘performed by the composer at Frankfurt-am-Main on the occasion of the Coronation of Emperor Leopold II’, in October 1790. Mozart did in fact perform the work in Frankfurt, but the concert took place a week after the actual coronation, and was not part of the official festivities. Nor was it written for the occasion – Mozart had in fact premièred it the previous year, in Vienna. Popular for its beauty and rococo style, it is here preceded by Piano Concerto No.17 in G major, K 453, one of the rare concertos that Mozart composed with another soloist than himself in mind. Written for and premièred by his student Barbara Ployer, it is also unusual in that Mozart cast its last movement as a set of variations, with a bourrée-like theme developed at a helter-skelter pace, similar to an operatic scene unfolding on stage.